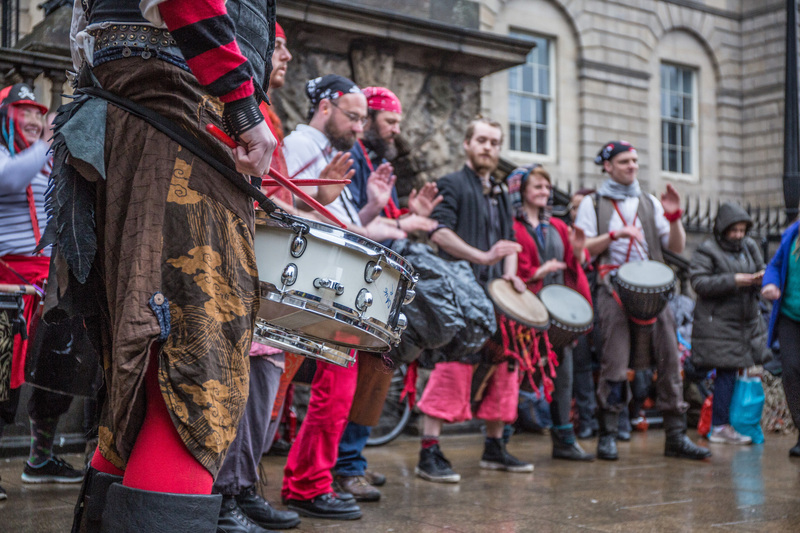 The Beltane Fire Society (BFS) is a registered charity, based in Edinburgh. We have a board of trustees who are volunteers, elected by our members each year at our annual general meeting (with additional members coopted throughout the year if needed, by vote of the board themselves). They are responsible for making sure BFS delivers on its charitable aims, that we comply with all the requirements placed on us, and help oversee the smooth running of the charity and our festivals. The board meet regularly to make key decisions. You can read minutes and agendas for board and other BFS meetings if you’d like get a sense of discussions, or email us at board[at]beltane[dot]org for more information. You can also see details about us as a charity (including our annual accounts) on the website of the Office of the Scottish Charity Regulator (OSCR). Our community and our festivals are weird, wild and wonderful. I’m proud to be part of them. I’ve been on the board since June 2016 and became Chair in December 2016, and since then have been leading our board in working to improve our governance and structures. As BFS chair I run our board meetings and help coordinate our work to keep the society ticking, and I can be contacted with queries or concerns you may have. I’ve been involved in our festivals as a performer – largely as a drummer – and on the production side as press officer and steward too. Outside Beltane I’m a communications specialist for charities, helping them find ways to tell their story and engage people. 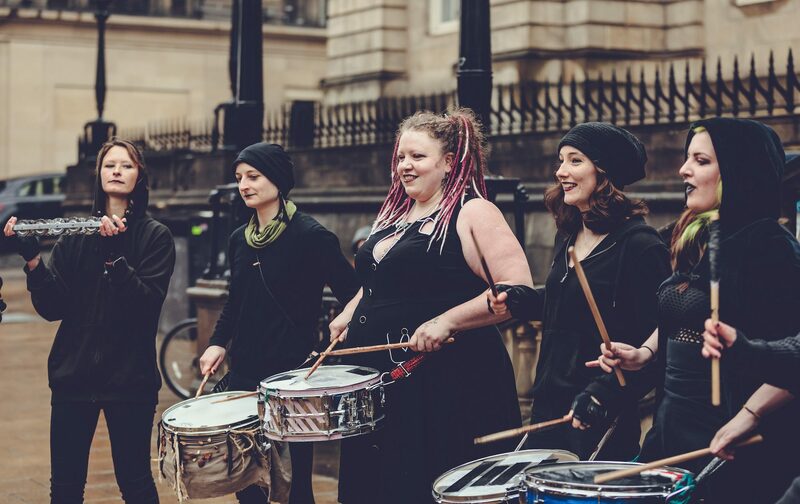 I was first introduced to BFS through a passion for drumming, becoming a processional drummer in Beltane 2016. I quickly fell in love with the Beltane community and eagerly returned in Samhuinn as a torchbearer (finally getting over my fear of fire!). Outside BFS I’m currently on the board for another organisation called Glasgow Drum Circle (GDC). Over the years with GDC I have managed lottery-funded projects, acted as treasurer, taught rhythms and led drum crews in a wide variety of performances. Other notable experience includes my previous stint as an events officer for a large public sector organisation and, back in my uni days, being a board member for the university’s Pagan Society. For the rest of the board term I will be providing systems admin support to the board, sharing knowledge on governance, and generally mucking in to help make this Beltane the best one yet! I first saw Beltane as a teenager and became mesmorised by the noise of the drums and the sight of the fire. 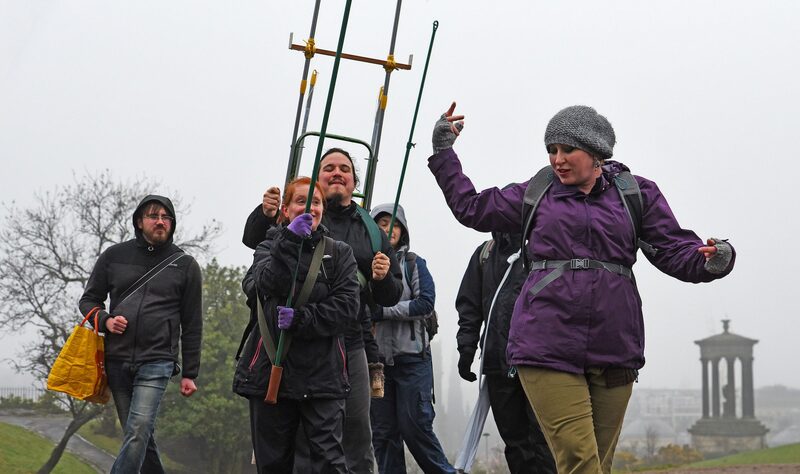 I then jumped into the madness in 2014 and have taken part ever since and have been involved with Torchbearers (twice as the Group Organiser), the Aerie, Contact Point & Fire Point. Outside of Beltane, I currently work for Royal Botanic Garden Edinburgh as Finance Officer (Business Support) and have worked previously for an Edinburgh based charity COMAS and volunteered with the Institute of Fundraising, LEAPS and the British Heart Foundation. After acting as Treasurer last year, where I was ensuring our policies and procedures were fit for purpose, I am now looking at how we diversify our revenue streams via a new fundraising approach. I will also be looking at our sustainability, both as an organisation and at each festival, helping to support our Family events team and assist the contracted Comms Officer. I am also aiming to develop our engagement with the public and other organisations and will generally be assisting other board members as required. I’ve been a performer, steward, and organiser in the Beltane Fire Society for going on 15 years now. In the BFS I’ve met loads of amazing and interesting people, mastered skills which I never imagined I’d be able to and learned quite a few other things about life on the way. It’s been a bit of a blast, and by joining the BFS Board I’m hoping to give something back. Outside of Beltane I’ve been a director and software developer for a tech startup then a platform developer for a large charity. Currently I’m developing a social media platform and generally trying to encourage use of digital in the Third Sector. As volunteer secretary I support volunteers to find the right groups to join as they seek to participate in our festivals, and keep track of the relevant details. My Beltane journey started as a teenager, when I saw this amazing and wondrous display on Calton Hill that was Beltane. From the start I was hooked, and I tried to experience it every year, as it was just so good. When Samhuinn was added I thought wow, as watching these spectacular productions, was beyond words, truly magical, and now there were two. In 2015 my Beltane membership and performing journey began, and what a wonderful and uplifting experience it has been. 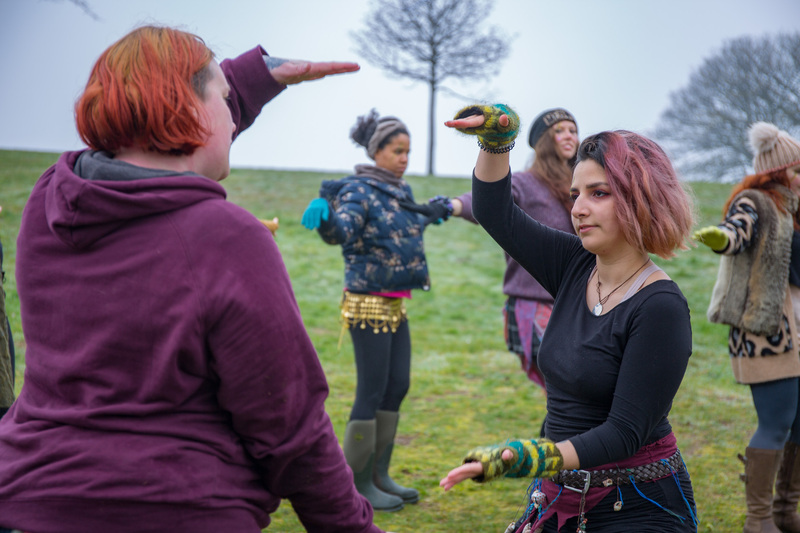 I feel honoured and privileged to be on the board of trustees, and look forward to supporting this unique organisation in any way I can, as I continue on this adventure, that is, my Beltane journey. Having been a Witness to Beltane since the last Millenium, when there were no tickets to the hill and you could bring your own drums, burned-out academic Dr Rhind only got round to taking part in twenty ten, when his Beltaner friend Dani Jackwerth convinced him that he could make this magic too. Since then, Dr Rhind has been an inaccurate rainbow of roles in the festival : Red, White, Green (as a drummer and as a Fairy), Blue (as a water spirit and a drummer) and invisible (as a puppeteer) among them. Dr Rhind has got a lot out of Beltane in those eight years, from friendships and new skills to subject matter for interminable poetry. Not least, he has got himself a coffin to use as a coffee table. And innumerable caches of glitter, hidden where he least expects them. Dr Rhind is a Druid, and works in a bank. While I am on the board this year, I will be looking at the diversity within the charities membership and acting as a key board of trustees contact for both the Event Coordinator and the Group Organisers involved in our festivals. I will also be helping support the festival operations as required and am willing to assist other trustees in projects they are managing this year. Dex is a project and programme management professional in the financial IT sector, with a degree in event management and marketing, and a qualified Prince2 practioner. For the last six years he has also worked on a voluntary basis as a campaign coordinator in the field of men’s sexual health and hiv awareness.